SAN JOSE, Calif. (KGO) -- A jury has resumed deliberations in the trial of three Santa Clara County Jail guards charged in the death of an inmate. 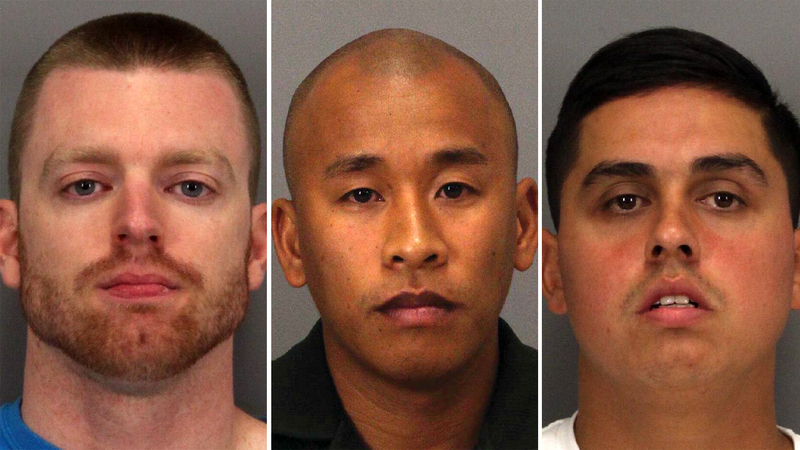 Jereh Lubrin, Matthew Farris and Rafael Rodriguez were guards at the county's main jail in San Jose. They're accused of beating mentally-ill inmate Michael Tyree to death in 2015. Prosecutors say Tyree was beaten so badly, his spleen was nearly severed in half. Defense attorneys claim Tyree died when he slipped or fell, after climbing on the toilet in his jail cell. The men could face life in prison if convicted of murder.